Do you sometimes envision life without excess weight? If losing weight has been difficult, you may wonder if weight-loss (bariatric) surgery is right for you. 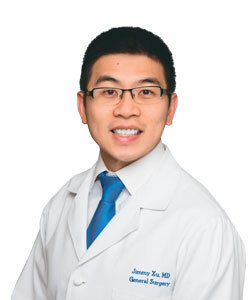 "That's a difficult decision each person must make for themselves, but we can guide you," says Jiashou "Jimmy" Xu, MD, medical director of the Weight Loss Surgery Center at St. Rose Dominican. To help, here are answers to common questions about weight-loss surgery. You may be if you're severely overweight. This generally means you have a body mass index (BMI) of at least 40. Or you have a BMI of at least 35 plus a weight-related health problem, such as type 2 diabetes, heart disease, or sleep apnea. Check your BMI. 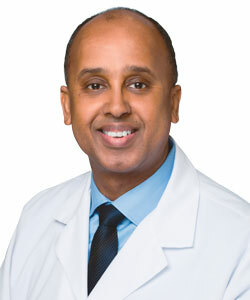 "Generally, surgery is considered when it's unlikely a person can achieve a healthy weight with other weight-loss strategies," says Mustafa Ahmed, MD, another bariatric surgeon at the Weight Loss Surgery Center at St. Rose Dominican. "You also must be committed to making lasting lifestyle changes to help keep the weight off." Q. Can surgery help with type 2 diabetes? Q. What changes will I need to make afterward? Make healthy foods a priority. You may need to take vitamins and minerals. 1. Gastric bypass. Surgeons shrink the stomach to about the size of a thumb and shorten the path food takes through the small intestine. This limits the calories your body absorbs. You'll also feel full after eating only small amounts of food. 2. Gastric sleeve. This surgery also shrinks the stomach, transforming it into a narrow tube and—like gastric bypass—limiting food intake. Your substantially smaller stomach will also produce less of the hormone responsible for hunger. Get all the information you need at our upcoming Weight-Loss Surgery Seminars.